It's been a long time coming and there's still lots more to do. 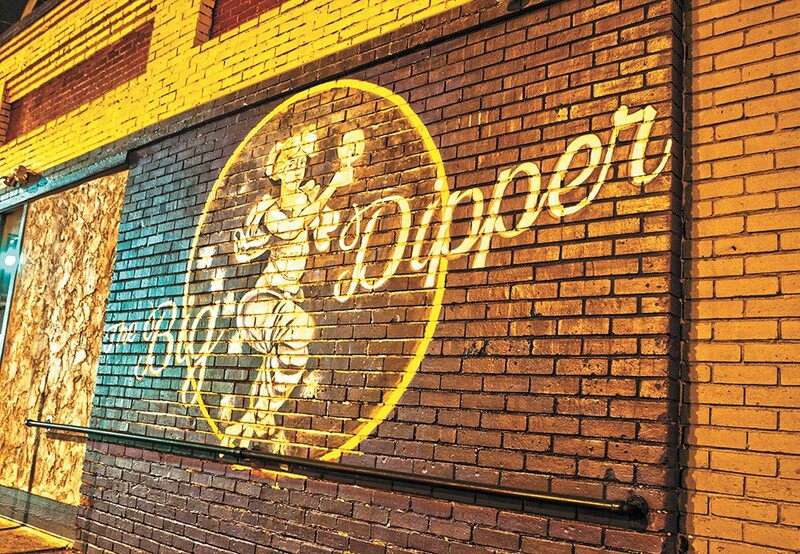 But the Big Dipper is miles past its forgotten and dilapidated state of almost a year ago, when new owner Dan Hoerner stepped in with big dreams to bring the iconic music venue back to life. A fire-suppression system needed to boost its occupancy is in the works, thanks in part to the City of Spokane's Business and Development Services department, which offered to take care of connecting the 100-year-old building to a modernized water line. Though mostly spent now, the Dipper also raised more than $6,000 from an ambitious crowdfunding campaign. The historic downtown building on the corner of Second and Washington has sporadically hosted events — including private parties, several shows and a Get Lit! reading — since February. Now that the biggest hurdles have been cleared, Hoerner wants to make it official with a grand opening celebration this weekend. "I just thought, you know, it's time to put on the big-boy pants and become a business," he says. Hoerner, his wife Dawson and their business partners Troy Brower and Annie Grinnell spent the past 10 months and quickly exhausted their personal savings to make major structural and aesthetic repairs to the venue, which sat empty for two years after the Empyrean left in 2011. Hoerner knows better than most what the Dipper has the potential to become again. He nostalgically remembers playing its stage as a teen in the late '80s, before he joined the influential Seattle-based emo group Sunny Day Real Estate. This weekend there'll be five locally made beers on the now mostly empty taps. From the kitchen, showgoers can order Dawson Smith-Hoerner's handmade, croissant-like pretzels, paninis or mini pizzas while they rock to the evening's headliners, Portland-based psychedelic garage rockers Wooden Indian Burial Ground. Just in time for the show, Hoerner is installing a new digital soundboard and speakers.